Your business is part of a new digital reality and the digital relationships you have with individuals are your greatest assets. They are also the new perimeter, where identities are the unifying control point across apps & data and users demand access and insight with an exceptional user experience. While all this drives your business, it also opens you up to attacks and breaches. 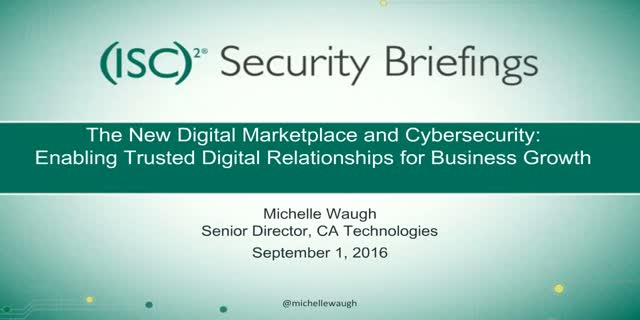 Join CA Technologies and (ISC)2 on September 1, 2016 at 1:00PM Eastern for this first event of a six-part webcast series where you will learn how leaders can adapt to the new digital reality -- embrace new identity and access management strategies that allow you to innovate in ways you never imagined.